BOW’s short, free conversational videos linked on this page are designed to help you live out your faith. How can you serve God? Watch the short series You Are on God’s Team with Claudia McGuire. Become part of the solution to the racial divide in the United States by watching the 3-part series Leading Toward Racial Reconciliation. Fight Right? Is that an option? Watch the 3-part series with Oletha Barnett who shares her expertise and wisdom learned through many years of leading reconciliation ministries. It’s often difficult to step up to serve God when we aren’t sure we are ready or adequate. This series digs into the pages of Scripture to see how God used three women in new and surprising ways. He is ready to use you, too. Understand the nature of conflict, God’s way through it, and how allowing for the differences of others helps avoid it. In light of #metoo and #churchtoo, how do we move forward with men and women working together? 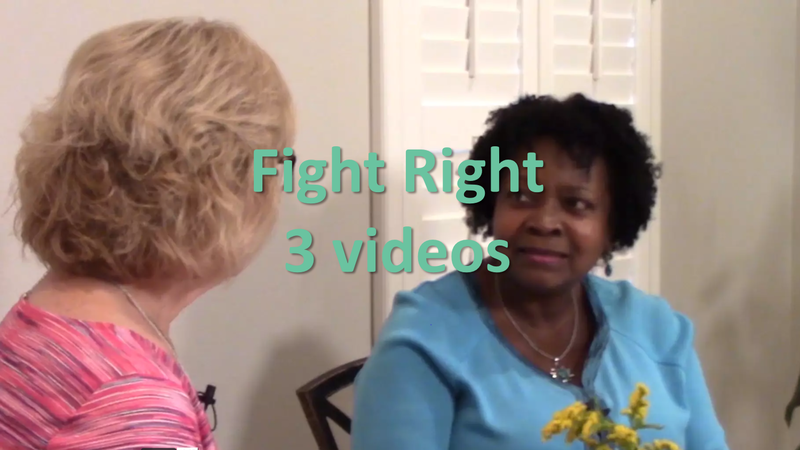 Dr. Jackie Roese discusses the issues in this short 3-part series.